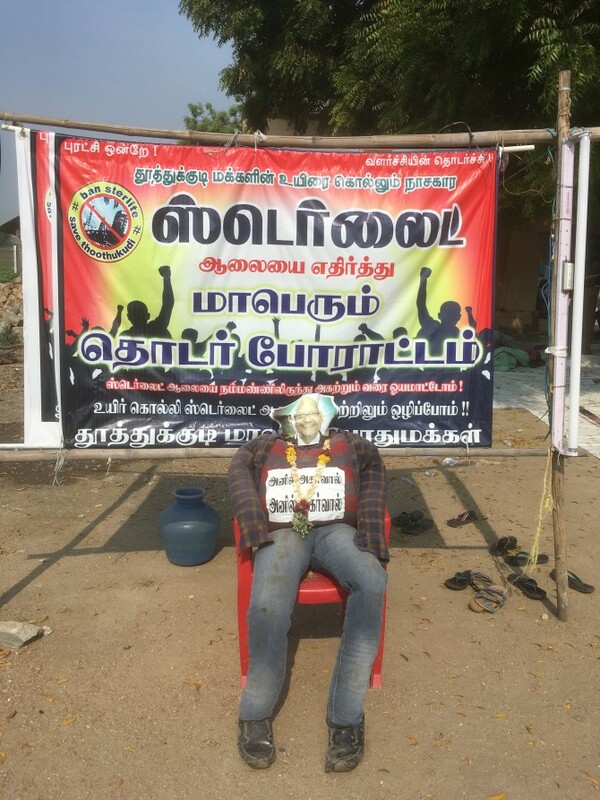 Villagers have been protesting against the Sterlite factory since February 12, with an effigy of Vedanta Chairman Anil Agarwal as the backdrop. More than 75 days hence, the dharna continues, the summer vacation seeing children joining the protest. A Ganesh Nadar reports from Kumararettiyarpuram. Sterlite Industries, whose copper plant has been functioning since 1996 in the industrial town of Thoothukudi, southern Tamil Nadu, has seen it all. There have been minor accidents where workers have died, and a major incident in 2013 when more than 100 girls fainted in the compound next door. Despite opposition from environmentalists and locals, the factory has continued to function. When Sterlite -- which is owned by the London-based metal and mining magnate Anil Agarwal's Vedanta Ltd -- decided to expand and announced the doubling of its capacity from 400,000 tonnes a year to 800,000 tonnes of copper, a dam of protests burst open, leading even newbie politician Kamal Hassan and Rajinikanth to jump on the protest bandwagon. The epicentre of the protest is Kumararettiyarpuram, about 5 km from the Sterlite factory. Here, under the aegis of the Uyirkolli Sterlite Ethirpu Makkal Iyakkam (people's movement against killer Sterlite), villagers have been protesting against the factory since February 12, with an effigy of Anil Agarwal as the backdrop. Given the organic nature of the protest, politicians have been quick to lend support. "All the Opposition leaders from Vaiko (of the Marumalarchi DMK) to (M K) Stalin (of the Dravida Munnetra Kazhagam) came and said they are supporting us, but nothing has happened," one elderly lady tells this reporter. Kumararettiyarpuram village does not have a school or hospital. For primary education students have to travel to the nearby village 3 km away. Higher secondary education is even further, at Pudukottai, 10 km away. The nearest primary health centre is 3 km away. But what the villagers lack in facilities, they make up in terms of steely resolve. A young graduate, A Mahesh, who used to work at a factory nearby, quit his job to participate in the agitation. "They have announced another unit when they don't have land for it. SIPCOT (the State Industries Promotion Corporation of Tamil Nadu) has started buying land for expansion, but it (Sterlite) does not have environmental clearance, how can it do this?" Mahesh asks indignantly. The factory, locals contend, has affected the groundwater in the area. One woman hands out a bottle of water which she says came from her well. It tastes like seawater. "The water in our hand pump is the same," she laments. One way to avoid using the ground water is to buy tanker water from Sivalaperi village nearby, but it comes at considerable cost: Rs 10 for a pot. "We get two pots per house if we stand in line," says an elderly gentleman. 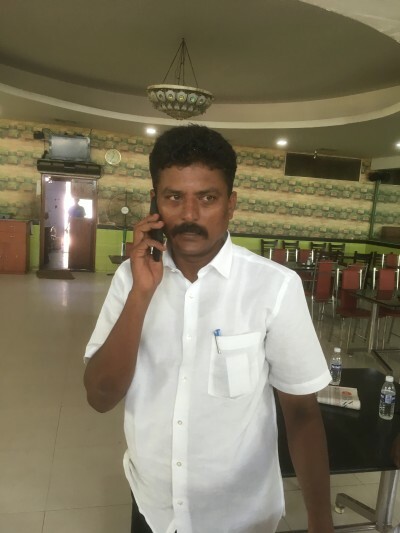 Krishnamoorthy, who leads the agitation, is a businessman in Thoothukudi. He also heads a union for salt pan workers. 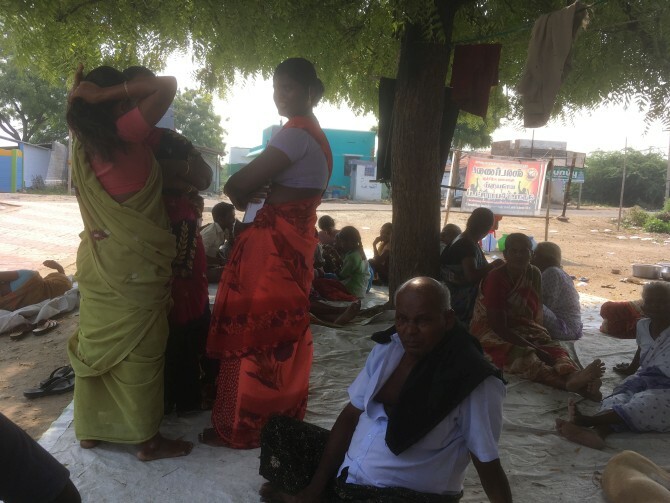 "The protest started in this village, but now it has spread to 16 villages in the area," says Krishnamurthy. Krishnamoorthy has been opposed to the Sterlite factory since he was in college. He alleges that arsenic and fluoride have contaminated the ground water and Sterlite is the only industry in the vicinity that has both in its waste product. 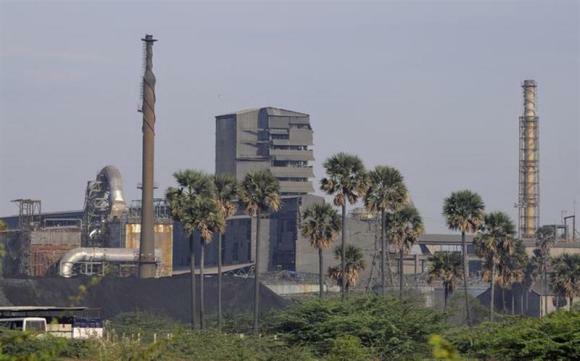 Sterlite received a blow recently when the Tamil Nadu Pollution Control Board rejected its plea to renew its consent to operate licence for its smelter plant. The factory, which was shut in January for maintenance, is yet to resume operations. "We have been here for years," says Jijo Mathew, Sterlite's manager, PR. "The protests started only after we announced our expansion." Asked about the pollution control board's action, Mathew says, "We have explained all the points raised by them." "We don't have a consent to operate licence," says Mathew, adding, "none of the industries have it, but we are singled out." Quizzed about the villagers' charges against the factory, Mathew insists, "We are a zero discharge unit. Our waste products are turned into by-products." "From sulphur dioxide we make sulphuric acid and the gypsum goes to cement factories. The copper slag goes for laying roads," he adds. Sterlite, Mathew says, will not talk to the agitators, but plans to approach the courts for justice. The company has since filed a petition against the PCB's denial of the CTO licence. Did the gas leak occur in Sterlite or Ramesh Flowers?